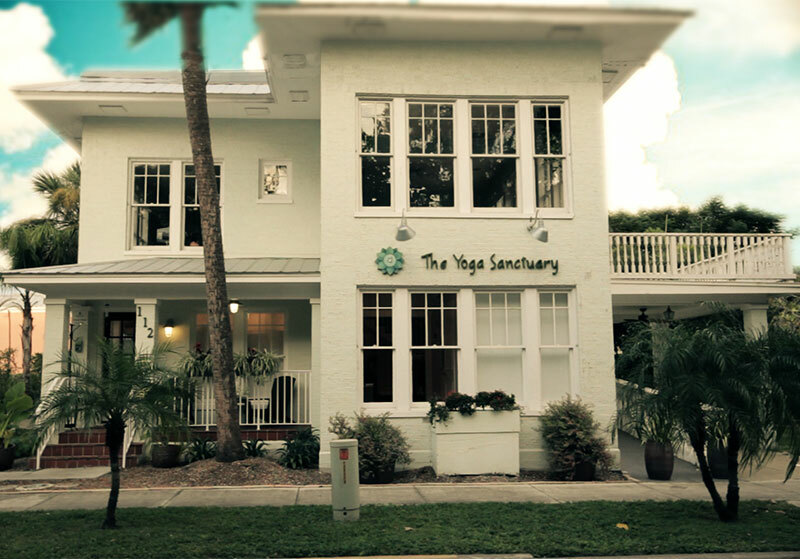 Yoga is an ancient practice that brings together body, mind, and spirit. It has become increasingly popular in our modern times as a way to quiet our busy minds and bring conscious movement to our bodies. Yoga’s many benefits are becoming more well-known every day, such as increased flexibility and range of movement, muscle tone and strength, as well as improved respiration, energy, vitality, and well-being. Doctors, physical therapists, and mental health professionals are more often recommending and integrating yoga in patient care as an approach to easing back pain, arthritis, insomnia, and stress. Even more recently, yoga is recommended as a way of combating the effects of osteoporosis. The National Osteoporosis Foundation defines osteoporosis simply as “a disease of the bone that makes a person’s bones weak and more likely to break.” It is reported that approximately 10 million people have osteoporosis and 44 million have low bone density or osteopenia, the precursor to osteoporosis. One in two women will break a bone in their lifetime due to osteoporosis. Yoga is a simple and, when practiced safely, effective way to maintain and perhaps increase one’s BMI (bone mineral density). More clearly, yoga can help build bones. We build bone strength and density by putting stress on the bone or applying weight and pressure to the bone. The more we safely and mindfully stress the bone, the stronger it gets. Many yoga poses are weight bearing. That is one holds a pose bearing weight on the supporting bones. This is done most obviously while standing or on the hands and knees, but gentle bone building pressure can also happen on the back, belly, and even seated. Recently, Harvard Health Publications (www.health.harvard.edu) reported on the benefits of yoga for osteoporosis. The study, based on a twelve yoga posture sequence and published in 2015 in Topics in Geriatric Rehabilitation, showed significant increases in bone density in the spine. Bone density showed to increase in the hips as well, but less significantly. While building bone strength through yoga poses is great and can help keep us strong and standing tall for years to come, there are many other hidden benefits. Yoga helps us develop awareness, focus, and presence. In other words, we become more conscious of what is around us and in turn, less likely to be distracted and take a potential bone-breaking fall. We become more aware of what we are putting into our bodies and how we feel, thus eating foods that are healthy and contribute to bone strength such as diet high in vegetables—particularly dark leafy greens. So what might someone consider if they’d like to try a yoga class and they have osteoporosis or low bone density? Loren Fishman, MD, author of the comprehensive book, Yoga for Osteoporosis and Director of Manhattan Physical Medicine and Rehabilitation in New York, writes, “It’s important to work with a teacher that is knowledgeable about alignment. Props are also very useful in one’s yoga practice. 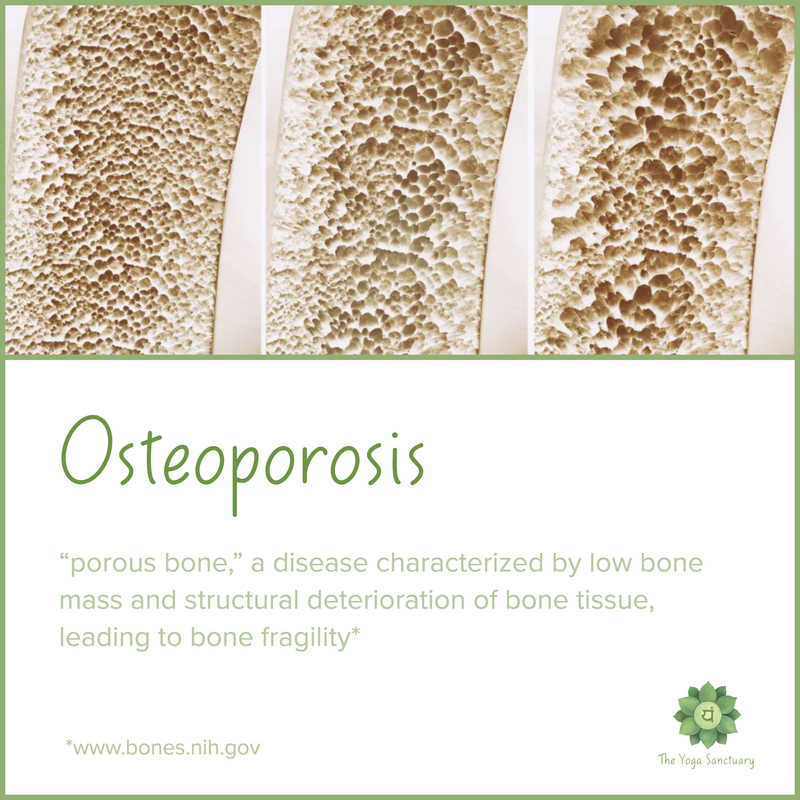 They help us find the length and lift needed to keep our bones safe.” First, get the okay from your doctor. Then be sure to talk to your potential teacher about your concerns. If you are just beginning, find a class that has a slow and gentle approach. You many even consider doing a private one-on-one session before joining group classes. Or try a class that incorporates chairs into the practice as support for standing balance poses. Many yoga poses have variations that can make them safer and more accessible. But in truth, these same variations to poses are great for anyone at any time in their practice. If you find yourself in a class specifically geared to people with osteoporosis, but don’t have the diagnosis yourself, you’ll still get a great class that is beneficial in so many ways!